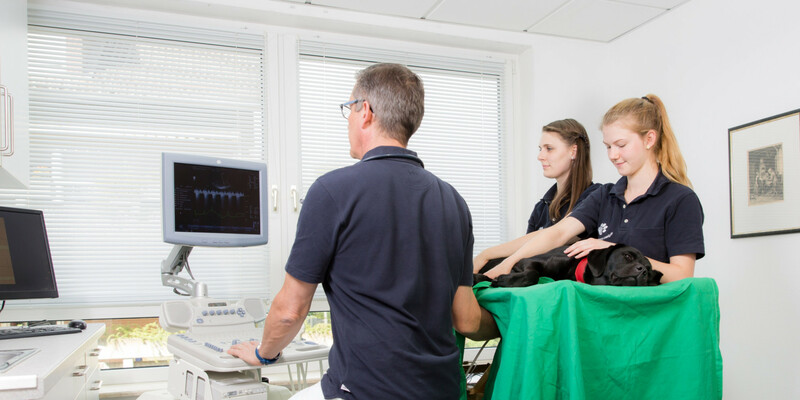 Our Ultrasound-Unit is based on newest Technology and serves as an optimum diagnostic tool. Technically most important is a high number of Transducers. No single Transducer is able to adress all questions to tissue architecture without missing details. Five high-end Transducers (2-13 MHz) give us the option to achieve high-resolution images of all abdominal organs, the heart (incl. Doppler-Ultrasound), Thyroid Gland, Joints, Tendons, Nerves and Vessels. 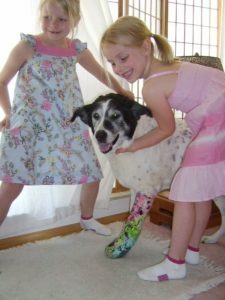 Your Pet can be sure to be well treated by us. 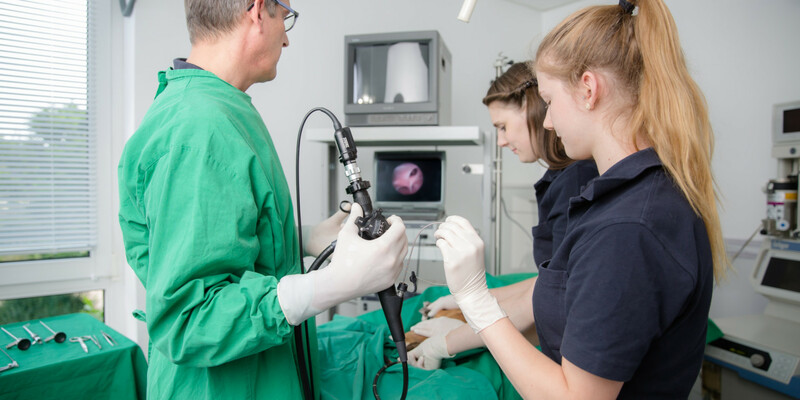 Our Endoscopy-Equipment gives us the option for minimal-invasive Diagnostics, often the basis for specific and effective treatment of Your Pet. 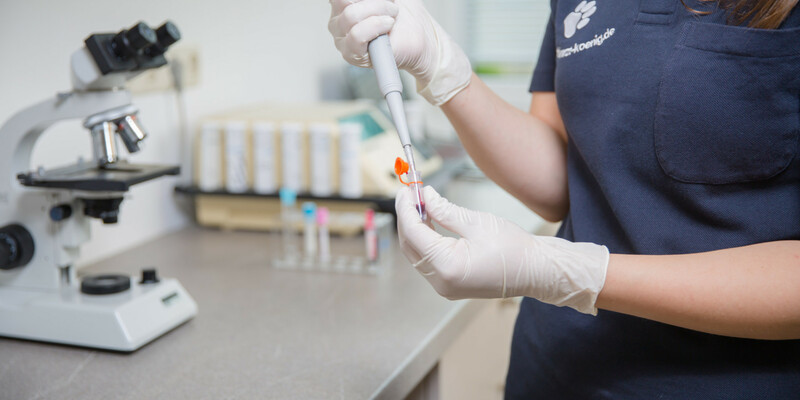 With this technique we hold a treatment option, which may prevent Your Pet from a surgical intervention. Especially useful is Endoscopy in chronic Intestinal or Ear Diseases. Further treatment options are swallowed or inhaled foreign bodies (i.e. plastic, awn, grass seed…). X-ray technology is standard in our daily routine. We use the highest resolution system, to be sure to produce maximum detail pictures during our diagnostic screenings. The best anesthesia ends with the procedure. 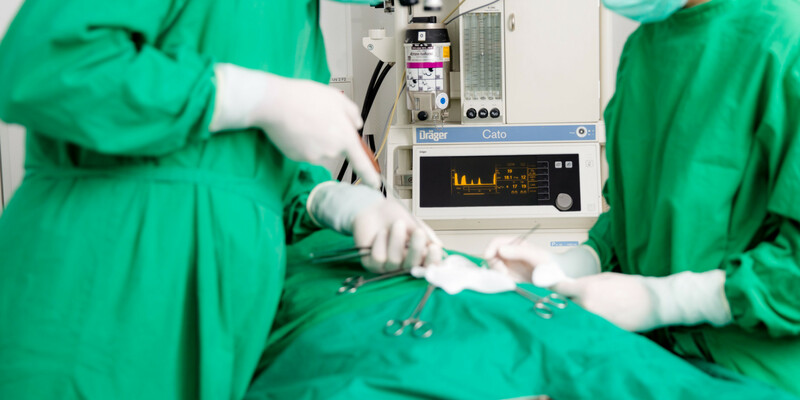 Our equipment (Inhalational Anesthesia, TIVA with Perfusion) gives our patients the opportunity to benefit from “Controllable Anesthesia”, which means, that depth of anesthesia can be regulated contemporary as necessary. Our goal is highest safety in anesthesia. Our anesthesia patients have intravenous catheters to be supported with cristalloid fluids and medications as necessary. We monitor cardiac- and breathing-parameters during anesthesia. Our theatre is equipped to perform a broad spectrum of bone- and soft tissue surgery. 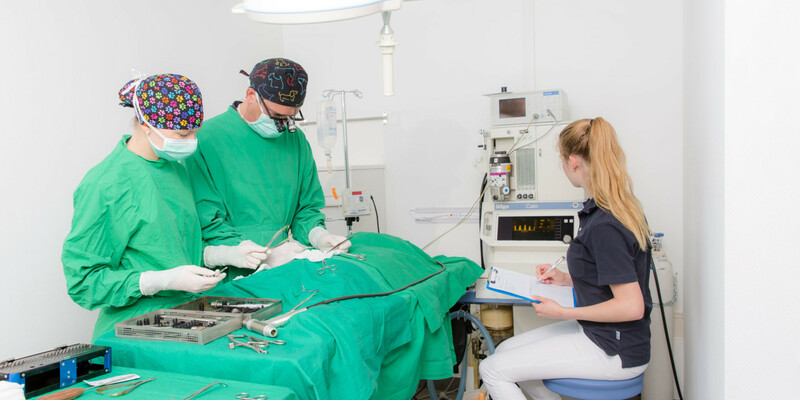 In the field of neurosurgery we are a highly accepted referral center since many years (www.neurovet.de). We monitor cardiac and breathing functions during anesthesia permanently. Any questions around the procedure we are used to discuss with You in detail before. Our patients should not eat 12 hours before anesthesia, but are allowed to drink. Patients in therapy should take their medications at the usual time. You will be with Your Pet until it sleeps and if requested, during awakening, so that it welcomes You first. 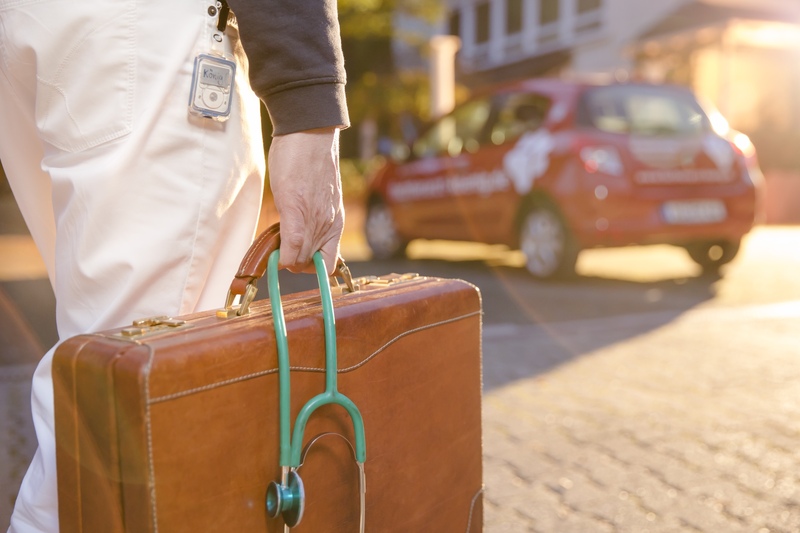 Besides the comprehensive general health care for my patients I offer specialized neurology services since more than 20 years (www.neurovet.de). Therefore I have sophisticated diagnostical and neurosurgical inventary on duty for my patients. Especially in the field of electrodiagnostics (hearing test, vision test, EMG, ENG, EEG) nothing counts more than know how – my electrodiagnostic expertise founds on 20 years operational experience, with the corresponding diagnostic performance in benefit to my patients. 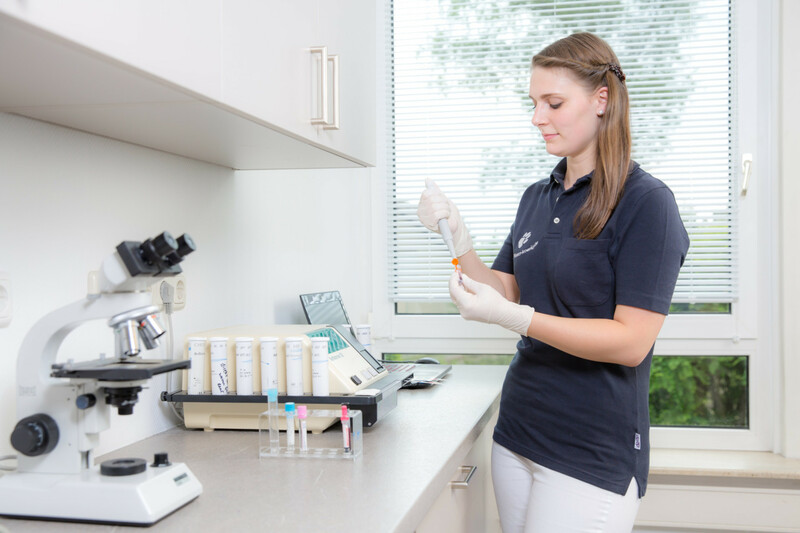 With our inhouse laboratory we can achieve important results (Bloodwork, CSF and so on) fast and effective. This makes it easier to support Your pets health whenever necessary. We make house calls and are able to support Your pet´s health at home. Usually we do this by appointment after our consultation hours.